What materials and types of metals are used to make batteries for electric cars? How much do batteries cost? How long do they last? Battery chemistry has come a long way since in 1800 Alessandro Volta disproved the common theory that electricity could only be created by living beings. Today, electric vehicle batteries store incredible amounts of energy that can be discharged quickly, safely, and smoothly – giving electric vehicles (EVs) instant acceleration, responsive handling, and fast recharging times. Most electric vehicle batteries are lithium based and rely on a mix of cobalt, manganese, nickel, and graphite and other primary components. Some of these materials are harder to find than others, though none should be classified as "rare earth metals." There are important issues surrounding battery production that must be acknowledged and addressed. 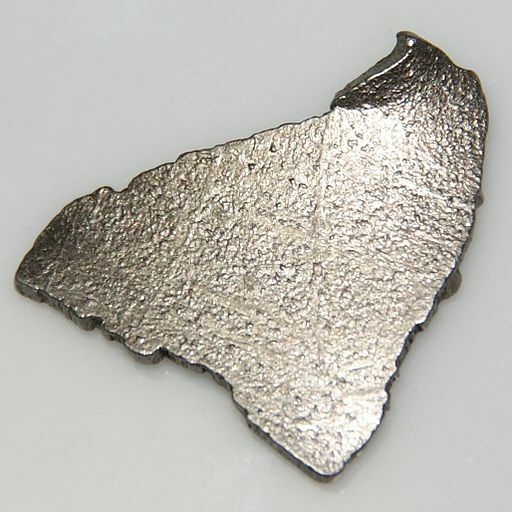 For example, over 60% of the global supply for cobalt comes from the Democratic Republic of Congo (DRC), which has a poor human rights track record; international organizations have denounced for years the exploitative labor practices involved in cobalt production. What can be done about EV battery sourcing issues? First, companies must be held accountable for enacting and enforcing policies to only use ethically-sourced materials. Some companies are off to a good start. Tesla, for example, has committed to sourcing materials only from North America for its battery production facility and battery supplier LG Chem claims they have stopped using conflict-sourced cobalt. Second, recycling can help reduce the need to search for battery materials. Cobalt is fully recyclable and roughly 15 percent of U.S. cobalt consumption is from recycled scrap today. Third, battery technology is continuing to improve. Lithium-titanate and lithium-iron-phosphate, for example, are gaining importance in the EV market and don’t need cobalt. Other battery chemistries that rely on magnesium, sodium, or lithium-sulfur are also gaining traction as they have the potential to beat lithium-ion batteries on energy density and cost. 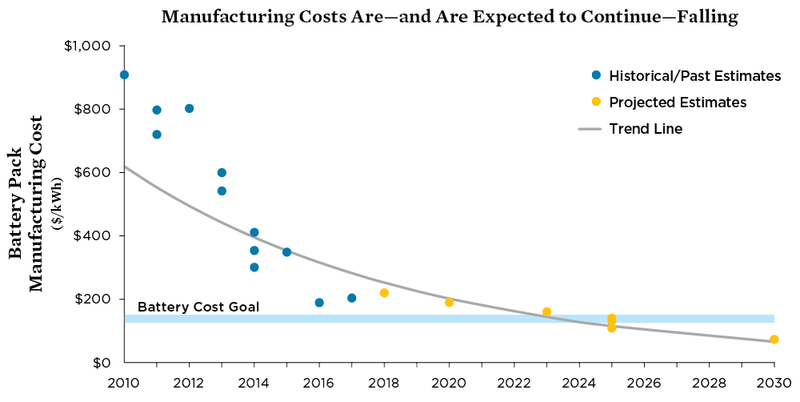 The price of lithium-ion batteries has fallen steeply as their production scale has increased and manufacturers have developed more cost-effective methods. When the first mass-market EVs were introduced in 2010, their battery packs cost an estimated $1,000 per kilowatt-hour (kWh). Today, Tesla's Model 3 battery pack costs $190 per kWh, and General Motors’ 2017 Chevrolet Bolt battery pack is estimated to cost about $205 per kWh. That's a drop of more than 70% in the price per kWh in 6 years! EVs are forecast to cost the same or less than a comparable gasoline-powered vehicle when the price of battery packs falls to between $125 and $150 per kWh. Analysts have forecast that this price parity can be achieved as soon as 2020, while other studies have forecast the price of a lithium-ion battery pack to drop to as little as $73 / kWh by 2030. Like the engines in conventional vehicles, the advanced batteries in EVs are designed for a long life but will wear out eventually. Currently, most manufacturers are offering 8-year/100,000-mile warranties for their batteries. Nissan is providing additional battery capacity loss coverage for 5 years or 60,000 miles. Manufacturers have also extended their coverage in states that have adopted the California emissions warranty coverage periods, which require at least 10-year coverage for batteries on partial zero-emissions vehicles (which include EVs). EVs must undergo the same rigorous safety testing and meet the same safety standards required for conventional vehicles sold in the United States as well as EV-specific standards for limiting chemical spillage from batteries, securing batteries during a crash, and isolating the chassis from the high-voltage system to prevent electric shock. In addition, EVs tend to have a lower center of gravity than conventional vehicles, making them less likely to roll over and often improving ride quality.